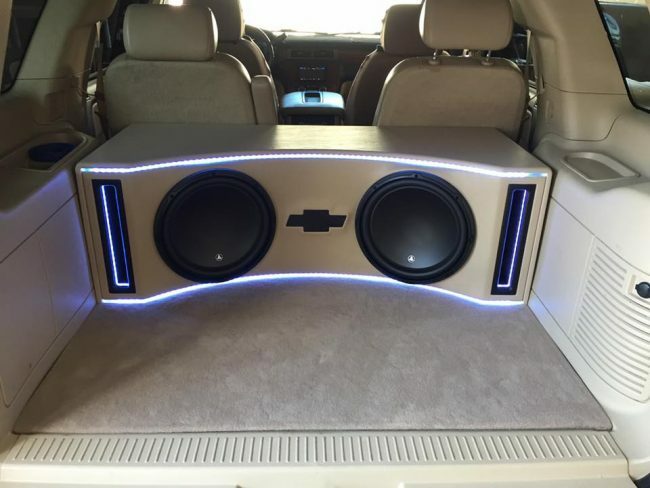 Chevy Tahoe custom ported subwoofer box for 2 JL Audio subwoofers. 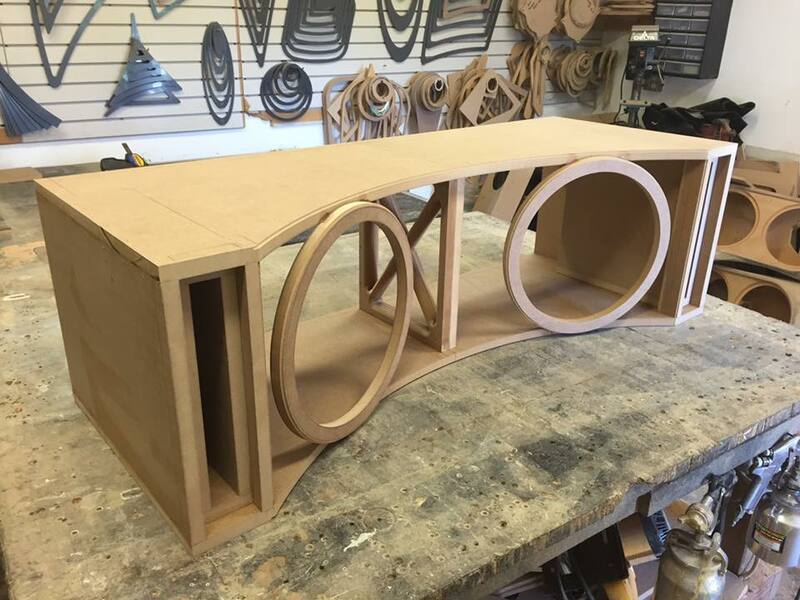 This customer wanted something simple, but sound excellent. We decided on a ported subwoofer box because it provided the best balance between high output bass and musical clarity. 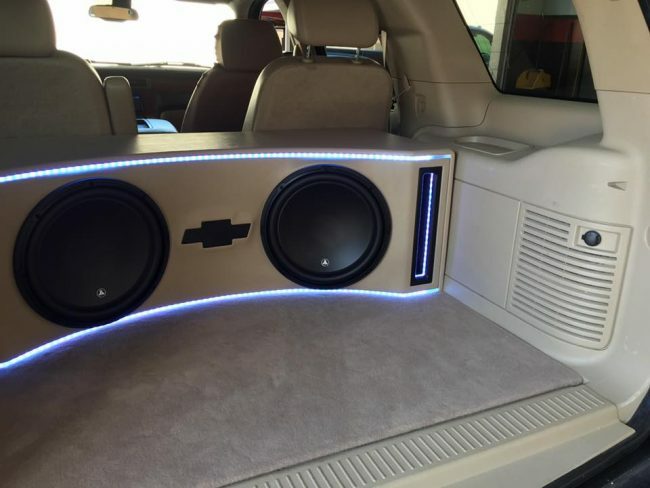 The subs and ports firing into the rear of the Tahoe really enhances the bass output. We wanted to make the subwoofer box blend seamlessly with the trucks interior so we wrapped it in matching vinyl. 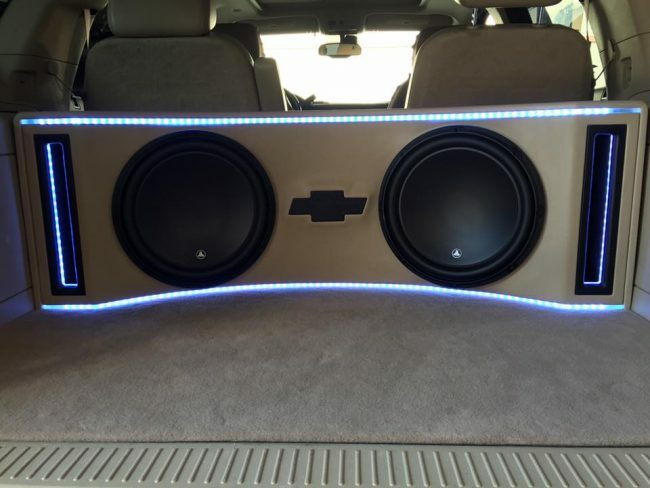 We incorporated some acrylic layers so we could light up the box to add the right amount of flash to this car stereo install. 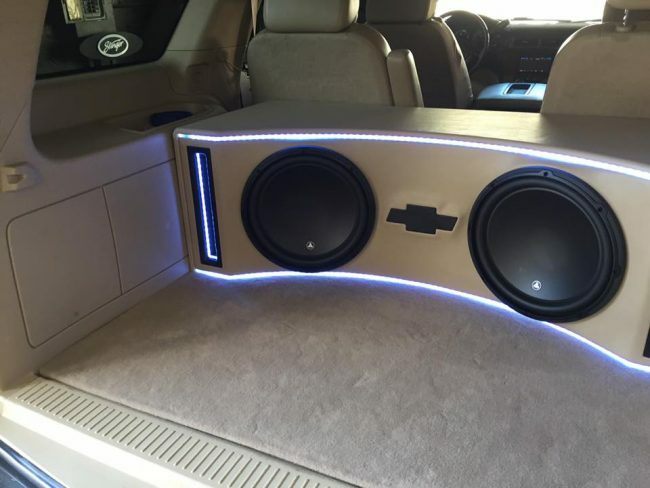 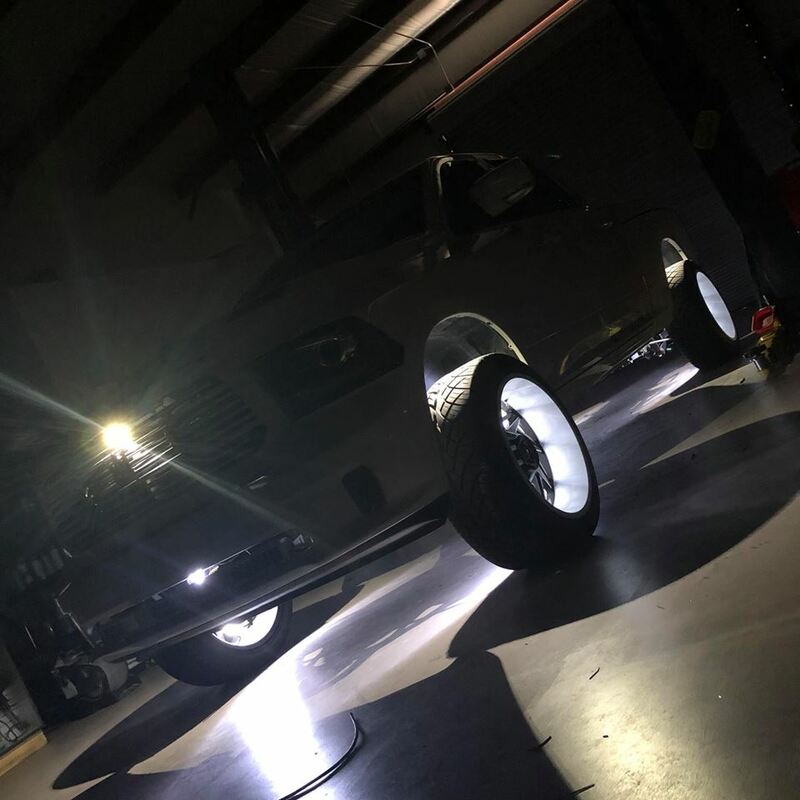 The LED lighting give the stereo install that POP that it deserves. 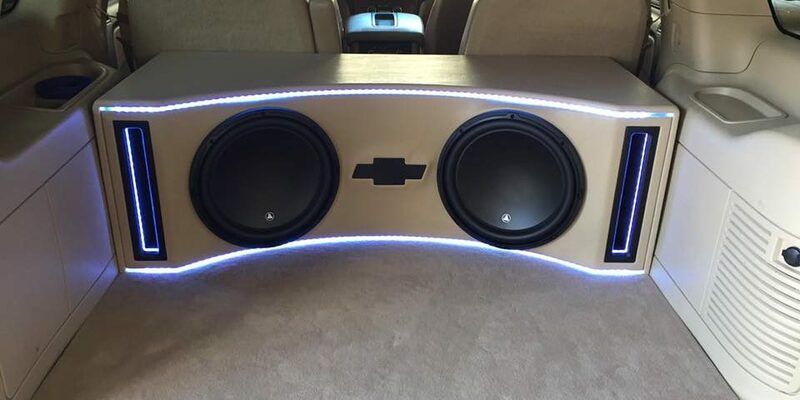 The Chevy bowtie we created in the center of the subwoofer box really ties it into the truck. 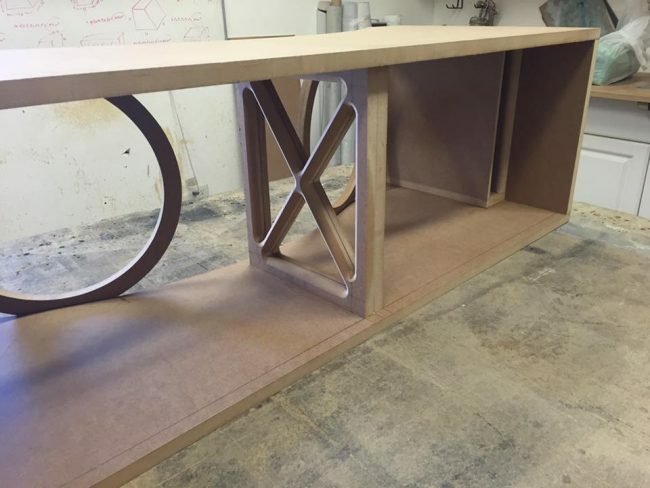 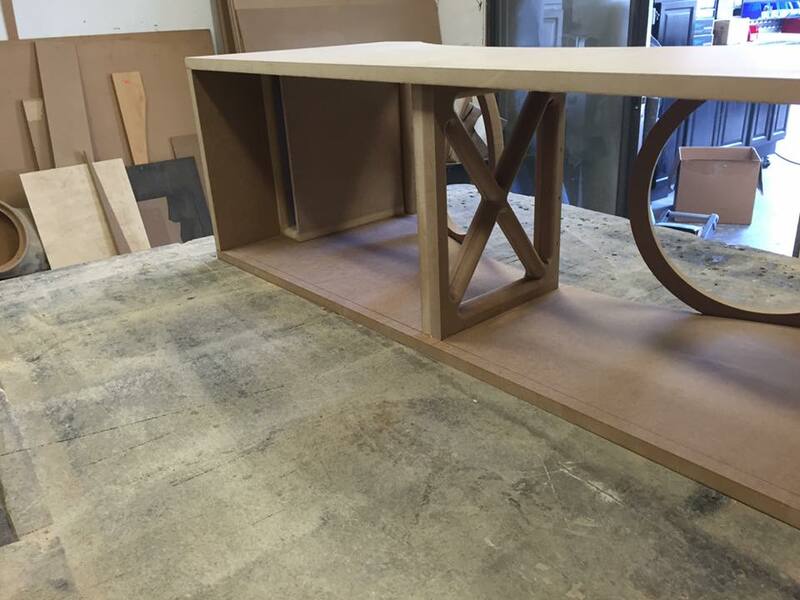 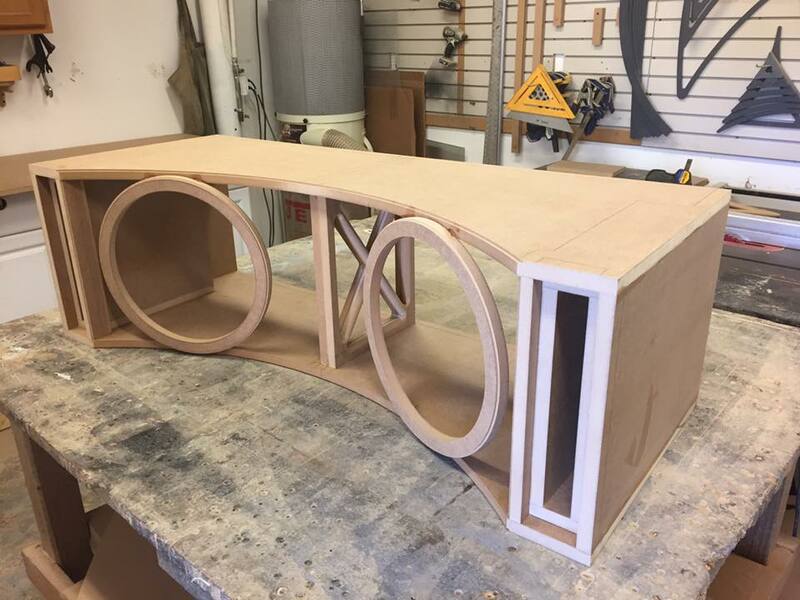 In the build pictures below you can see the meticulous design we provide with the bracing in the box to keep it from flexing and loosing any bass output. 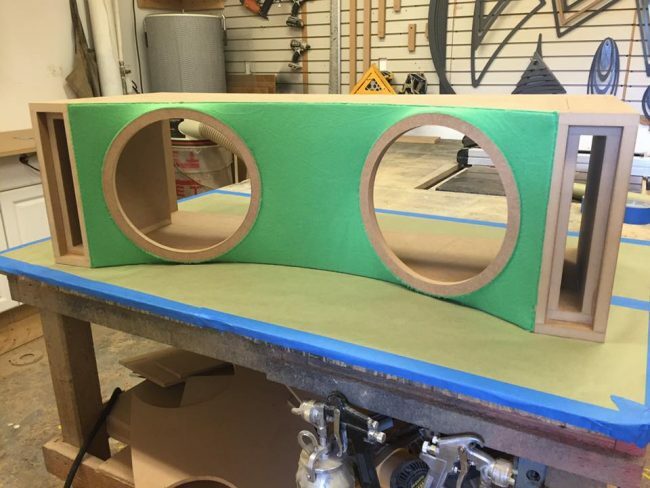 To upgrade your car stereo visit our shop in Melbourne, call 321-722-0228 to discuss options for your car, truck, motorcycle, or boat, or click here to contact us via email.